Department of Informatics and Environmental Sciences, Kyoto Prefectural University, Kyoto, Japan. As a white pigment, titanium oxide is used for cosmetic application. This oxide is well known to have the photo catalytic activity. Therefore a certain degree of sebum is decomposed by the ultraviolet radiation in sunlight. 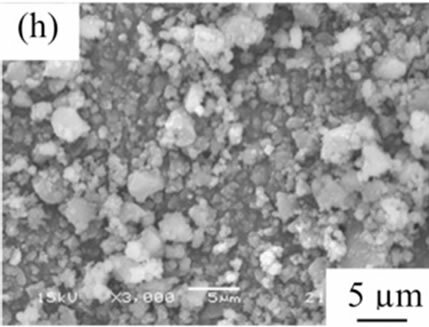 In this work, titanium phosphates were prepared with additives (urea, sodium lactate, and glycerin) as a novel white pigment. Their chemical composition, powder properties, photo catalytic activity, moisture retention, and smoothness were studied. These white pigments had little photo catalytic activity. The addition of sodium lactate and glycerin improved the moisture retention of titanium phosphates. The slipping resistance of samples became small by the addition of sodium lactate and glycerin. The roughness of samples became small by heating. As a white pigment, titanium dioxide is used for cosmetic application . This oxide is well known to have the photo catalytic activity. Therefore, a certain degree of sebum is decomposed by the ultraviolet radiation in sunlight. To repress this effect, some kinds of process are investigated and used. For example, as one of these techniques, the composite particles with silicon oxide are used . However, these particles are hard materials for human face. The mild materials for human face are required as a white pigment. In addition, there was a report that microfine titanium dioxide would be adsorbed through the skin . The novel white pigment that is not adsorbed is required. Phosphates have been used for ceramic materials, catalysts, adsorbent, fluorescent materials, dielectric substances, biomaterials, for metal surface treatment, as fertilizer, detergents, food additives, in fuel cells, pigments, and other items [4-8]. It is well known that phosphate materials have high affinity for a living body. Therefore, as a novel white pigment, phosphates have a possibility for the cosmetics. For the cosmetics, the moisture retention of materials is important to prevent the dry skin. Generally, urea is added to improve this moisture retention . In previous work , the addition of urea had influence on the particle properties of inorganic phosphate materials. 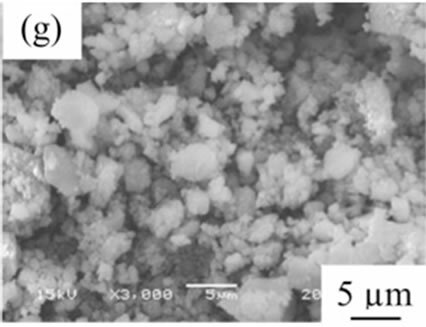 Spherical particles and large specific surface area were obtained in the preparation of lanthanum phosphate by the addition of urea. The particle shape of the pigment has influence on the smoothness of materials [11-13]. The smoothness of pigment is also important for the cosmetic applications. The white pigment with high smoothness spreads well on the skin. Further, sodium lactate and glycerin are easy to keep water in materials. Therefore, these compounds are used for cosmetics. Sodium lactate is considered to have antioxidant properties . 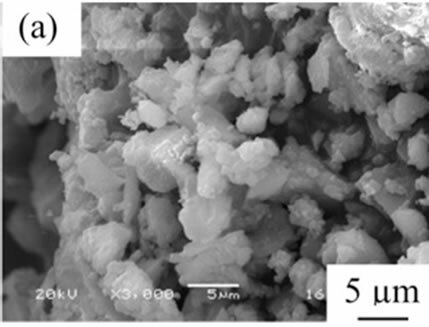 In this work, titanium phosphates were prepared from titanium chloride and phosphoric acid solution, with the addition of urea, sodium lactate, and glycerin. Their chemical composition, powder properties, photo catalytic activity, moisture retention, and smoothness of the obtained precipitates and their thermal products were studied for the cosmetic application. 0.1 mol/l of titanium chloride solution was mixed with 0.1 mol/l of phosphoric acid solution in a molar ratio of Ti/P = 1/1. Urea, sodium lactate, and glycerin were added in the phosphoric acid solution to 0.5 mol/l before the mixing . The mixing conditions were shown in Table 1. Then, the precipitates were filtered off, washed with water, and dried. These samples were settled as “sample A-H” in this paper. Table 1. Ti/P ratio in precipitates and specific surface area (SSA) of thermal products at 200˚C. the precipitates were also calculated from ICP results of these solutions, using SPS1500VR, Seiko Instruments Inc. The chemical composition of these materials was analyzed by XRD. XRD patterns were recorded on a Rigaku Denki RINT 1200M X-Ray diffractometer using monochromated CuKα radiation. TG and DTA curves were measured with a Shimadzu DTG-60H at a heating rate of 10 K·minute–1 in air. Samples were heated at 100˚C, 200˚C, 400˚C, 600˚C in air conditions. These thermal products were also analyzed by XRD. 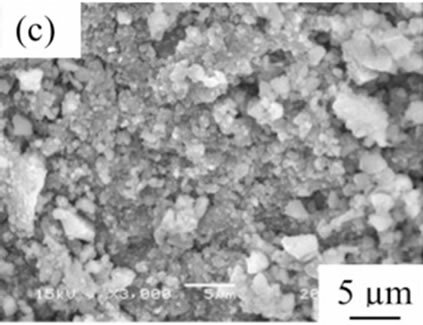 The powder properties of precipitates and their thermal products were estimated from SEM images, particle size distributions, and specific surface area. 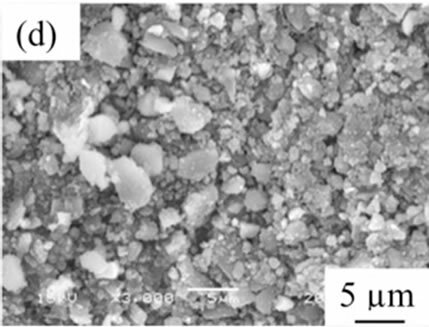 Scanning electron microscopy (SEM) images of titanium phosphates were observed using JGM-5510LV, JEOL Ltd. The particle size distributions of these materials were measured with laser diffraction/scattering particle size distribution HO-RIBA LA-910. The specific surface area of phosphates was calculated from the amount of nitrogen gas adsorbed at the temperature of liquid nitrogen by BET method with a Belsorp mini from Bel Japan. The cosmetic properties were estimated by the photo catalytic activity, the moisture retention, and the smoothness. The photo catalytic activity of samples was estimated with the decomposition of methylene blue by 365 nm radiation [15,16]. As the moisture retention of samples, 0.1 g of sample was mixed with 0.03 g of water, and then evaluated their weight loss under 50% - 60% in humidity at about 20˚C. The smoothness of particles was measured on artificial leather with KES-SE objective evaluation of surface friction property, KATO Tech Co. Ltd.
Table 1 shows Ti/P ratio of precipitate calculated from ICP results. The Ti/P ratio in precipitates increased by the additives. Because all samples had higher Ti/P ratio than the Ti/P ratio of TiPO4(OH) and Ti3(PO4)4, the hydroxide was considered to form. The regularity by the kinds of the additives was not clear on these Ti/P ratios. Figure 1 shows XRD patterns of samples prepared with various additives. Samples A-F were amorphous phase, on the other hand, unknown small peaks were observed in XRD patterns of samples G and H. By heating at 400˚C, all samples were amorphous. Samples D, F, G, and H heated at 600˚C had small peak at about 26 degree. 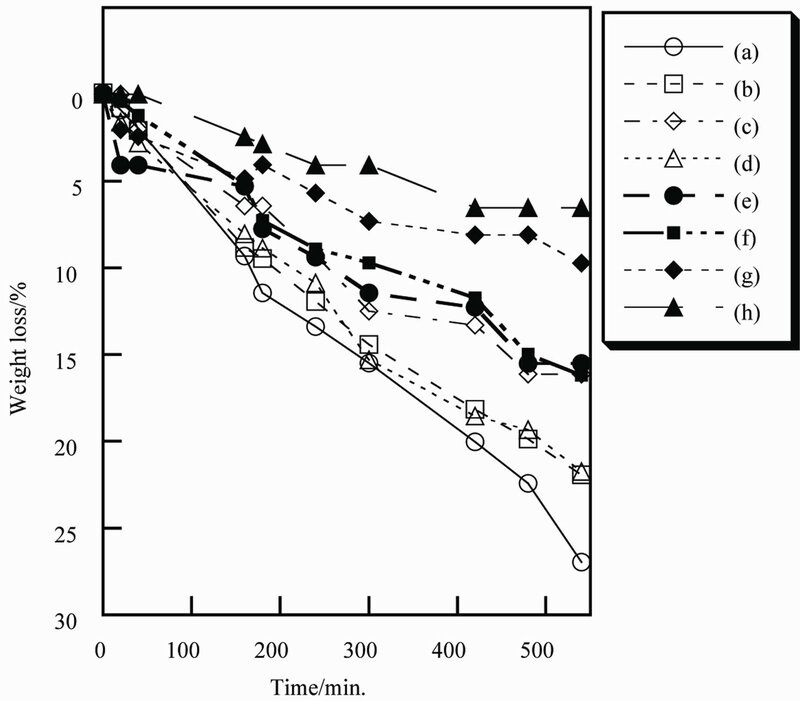 Figure 2 shows DTA curves of samples prepared with additives. 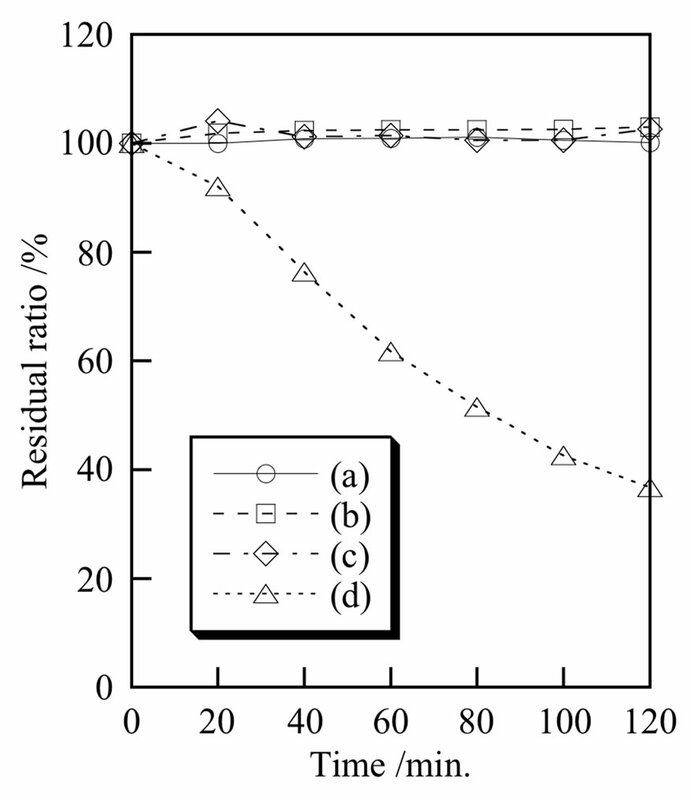 Sample A had large endothermic peal at 100˚C and small exothermic peak at 760˚C on DTA curve (Figure 2(a)). 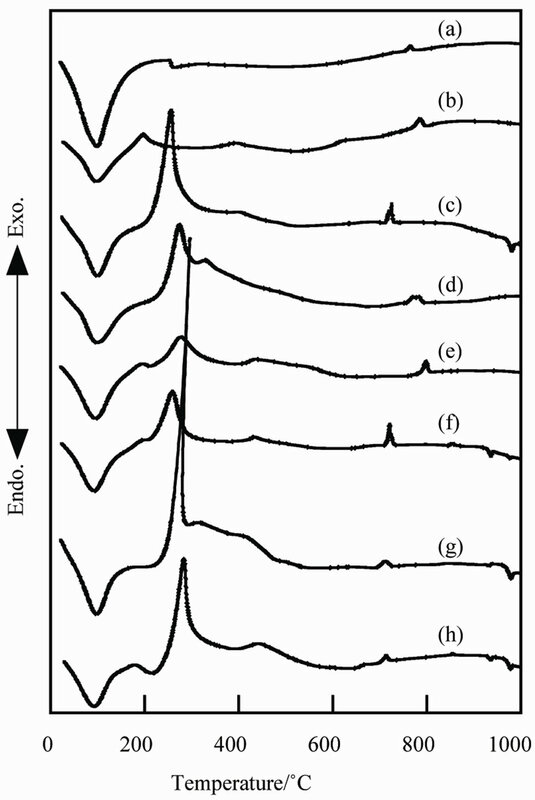 These peaks were caused from the volatilization of water and the crystallization of titanium phosphate, respectively. By the addition of urea, sodium lactate, and glycerin, the exothermic peaks appeared from 240˚C to 280˚C. 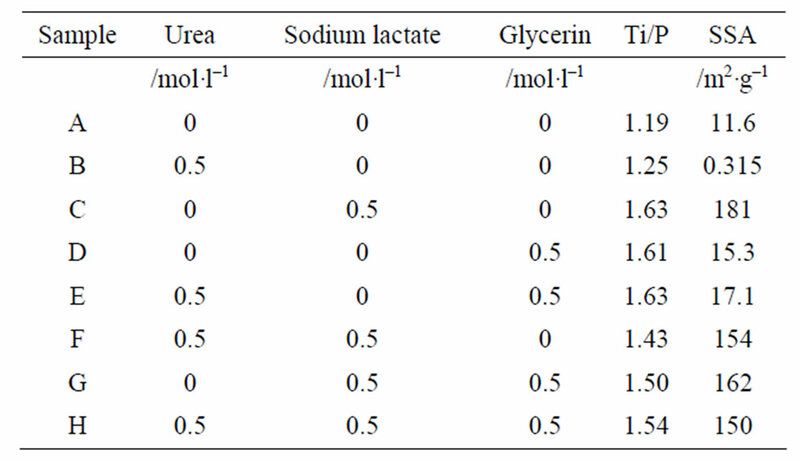 Sodium lactate and glycerin produced larger exothermic peaks than urea. These peaks were caused from the burning of the additives. Figure 1. XRD patterns of samples prepared in various conditions, (a) Sample A; (b) Sample B; (c) Sample C; (d) Sample D; (e) Sample E; (f) Sample F; (g) Sample G; (h) Sample H.
Figure 2. 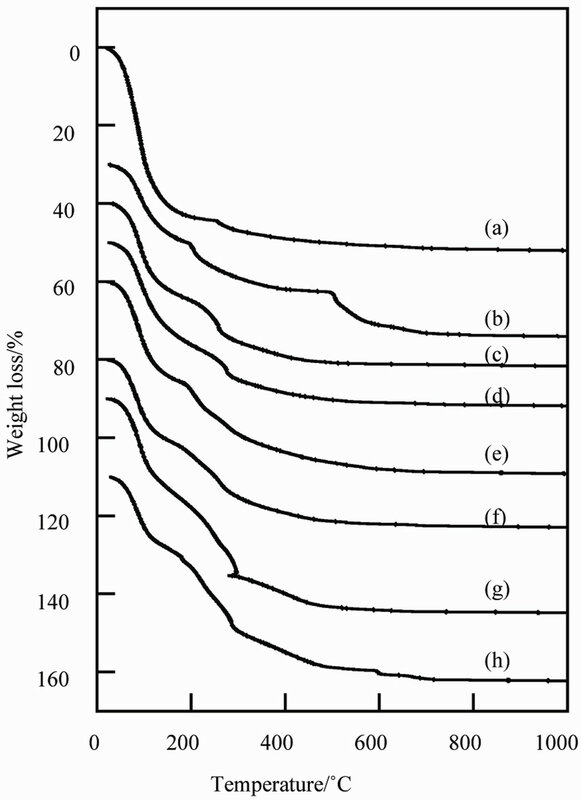 DTA curves of samples prepared in various conditions, (a) Sample A, (b) Sample B; (c) Sample C; (d) Sample D; (e) Sample E; (f) Sample F; (g) Sample G; (h) Sample H.
weight loss . However, in this work, the ratio of the additives could not be calculated from TG curves. Because samples lost the additives by heating at high temperature, samples heated at low temperature were suitable to use as a cosmetic pigment with urea, sodium lactate, and glycerin. From the viewpoint of particle shape, spherical particles are suitable for the cosmetic applications. Figure 4 shows SEM images of samples prepared in various conditions and then heated at 100˚C. All samples had no specified shape in spite of the kind of additives. 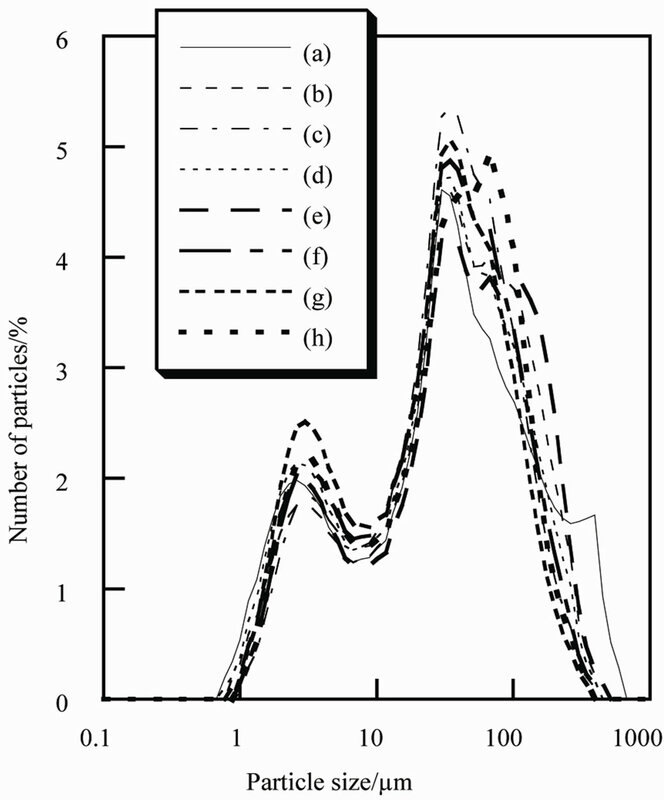 The angular particles were less observed in samples G and H.
Figure 3. TG curves of samples prepared in various conditions, (a) Sample A; (b) Sample B; (c) Sample C; (d) Sample D; (e) Sample E; (f) Sample F; (g) Sample G; (h) Sample H.
Figure 4. SEM images of samples heated at 100˚C, (a) Sample A; (b) Sample B; (c) Sample C; (d) Sample D; (e) Sample E; (f) Sample F; (g) Sample G; (h) Sample H.
Figure 5. Particle size distribution of samples heated at 100˚C, (a) Sample A; (b) Sample B; (c) Sample C; (d) Sample D; (e) Sample E; (f) Sample F; (g) Sample G; (h) Sample H.
microfine particles are inappropriate because of the adsorption through the skin. Further, too much larger particles are also inappropriate because of the cracking of coating on the skin. It is important to control the particle size of pigments. Samples prepared in this work had same range of particle size with the suitable size for the cosmetics. The homogenization of particle size is felt from the further examination on preparation conditions. Figure 6 shows the photo catalytic activity of samples. Because titanium dioxide is used as a white pigment in cosmetics, this compound was evaluated for the comparison with uncoated titanium phosphate . The methylene blue was decomposed with titanium dioxide by UV radiation (Figure 6(d)). 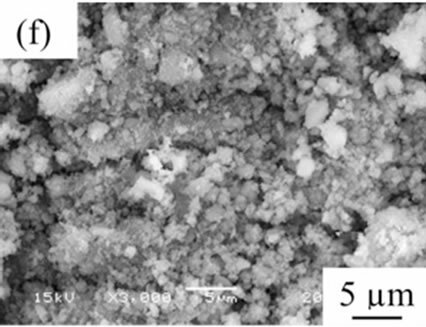 On the other hand, titanium phosphate had little photo catalytic activity in spite of the addition of urea (Figures 6(b)-(c)). Titanium phosphate was mild material to protect the sebum on the skin. Figure 6. 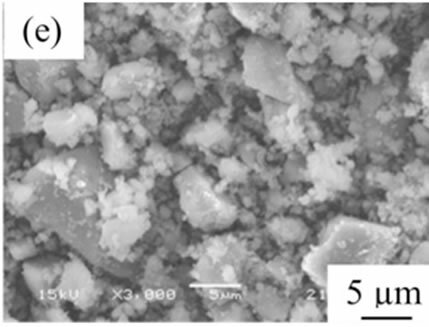 Photo catalytic activity of samples, (a) Blank; (b) Sample A, R. T.; (c) Sample H, 100˚C; (d) TiO2. between samples A and H. This is significant to design the pigment for the cosmetics. As mentioned above, the pigment with high smoothness spreads well on the skin. The smoothness of the powders is also important in cosmetics . Table 2" target="_self"> Table 2 shows the smoothness of samples heated at various temperatures. The values of MIU and MMD represented the slipping resistance and roughness of powders, respectively. Sample powders spread on the article leather, and then a sensor ran on these powders. The values of MIU and MMD were calculated from the power to move a sensor and the pitching of a sensor, respectively. The heated sample H had smaller MIU and MMD than sample H without heating. Because small values of MIU and MMD are required for the cosmetics, the heated sample H was suitable. Table 3" target="_self"> Table 3 shows the smoothness of samples prepared in various conditions and then heated at 100˚C. By the addition of urea, the value of MIU increased, on the other hand, other samples had smaller MIU value than sample prepared without additives. Sample E had larger MMD value than others. The smoothness of titanium phosphate was difficult to be controlled by the heating and the additives. Table 2. Smoothness of sample H heated at various temperatures. Figure 7. Moisture retention of samples heated at 100˚C, (a) Sample A; (b) Sample B; (c) Sample C; (d) Sample D; (e) Sample E; (f) Sample F; (g) Sample G; (h) Sample H.
Table 3. Smoothness of samples prepared in various conditions (100˚C). Titanium phosphates were obtained from titanium chloride and phosphoric acid with urea, sodium lactate, and glycerin. 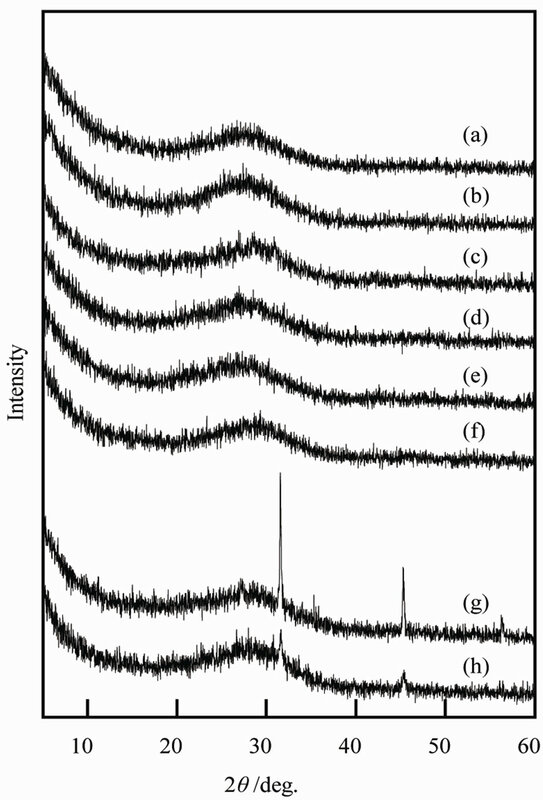 XRD patterns of the obtained materials were amorphous or had unknown weak peaks. These titanium phosphates were mild materials to protect the sebum on the skin. The addition of urea, sodium lactate, and glycerin improved the moisture retention of titanium phosphates. The slipping resistance of sample powders became small by additives. 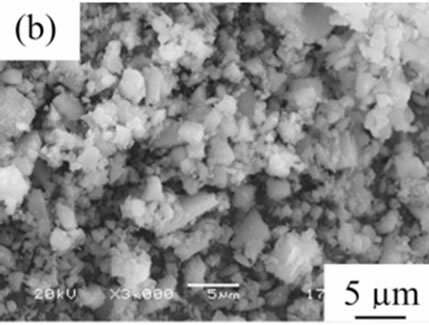 H. Onoda, Y. Fukumura and A. Takenaka, “Preparation of Porous Aluminum Phosphate with Various Acidic and Basic Compounds,” Journal of Materials Science and Engineering with Advanced Technology, Vol. 1, No. 1, 2010, pp. 97-108.